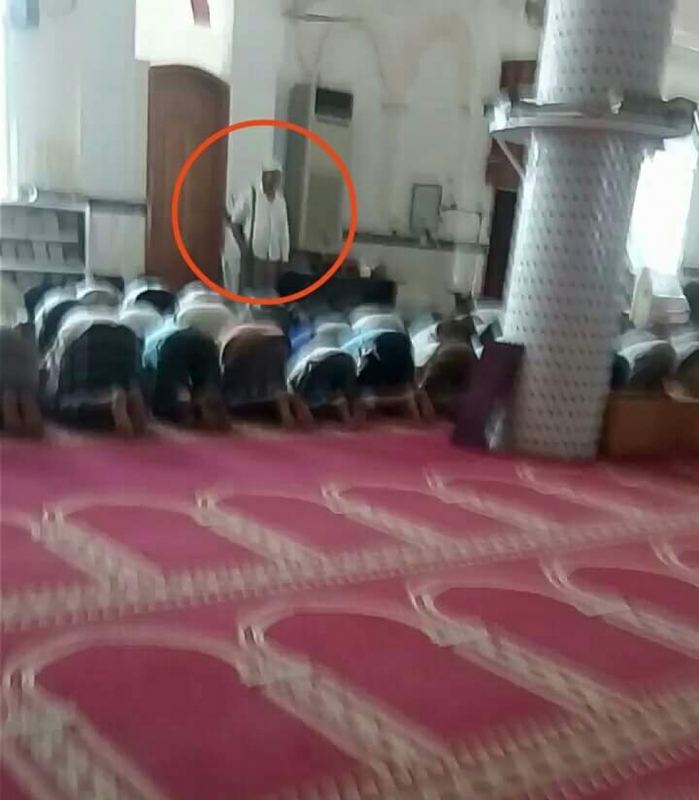 Social media activists on Sunday circulated a photo of a man guarding imam of a mosque during prayer in Yemen's Aden city. It was the first time an imam hired a bodyguard to protect him in the city which has seen a wave of assassinations targeting clerics in the last three years. Around 20 mosque imams have been killed and a few others survived attempted assassinations since 2016. On Saturday, unidentified gunmen shot dead imam of the Abdullah Azzam Mosque, Mohammed Bazara'ah, in the district of Al-Mualla while he was leaving the mosque after sunset prayer. Aden, the temporary capital of the internationally recognized government, has also seen assassinations targeting police and army officers and personnel, politicians and intellectuals. Today, three soldiers were killed and two others injured in a drive-by attack on their vehicle in the district of Al-Mansourah. One mechanic was killed and another injured when the gunmen lost control of their car and hit a bus at a car maintenance workshop after the attack.